Thank you to this year's sponsors and supporters. We sold over 2200 tickets this year, a SPUR record! 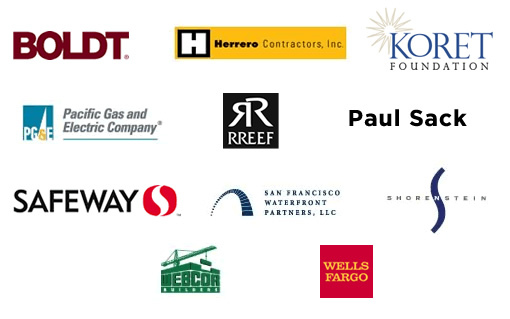 The annual Silver SPUR Awards Luncheon is San Francisco’s largest and most important civic event of the year. Over 2,000 people will pay tribute to five people who make our city and region a better place to live and work. This event has evolved over 49 years, but its purpose remains the same: to recognize the contributions and dreams of remarkable San Franciscans. 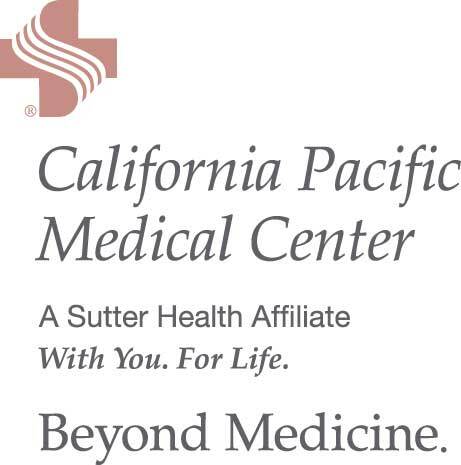 Luncheon & Awards Ceremony—12 p.m.
Lead Sponsor/Event Chair SPUR thanks President of Sutter West Bay Hospitals and event chair Dr. Martin Brotman, for their generous support. Need help with disabled access? Contact us at 415-781-8726 x119 or events@spur.org. Disembark at the Powell Street Station. Exit to Fourth and Market Streets. Turn right on Fourth, walk two blocks south to Howard and turn left. The Moscone Center is located on the 700 block of Howard Street. You'll find Moscone South on your right and Moscone North on your left. Moscone West is located at Fourth and Howard streets with a second entrance on Fourth Street between Howard and Mission Street. For questions regarding about tickets, sponsorship and event details please contact SPUR Event Manager Kelly Hardesty at 415-644-4288 or events@spur.org. Cannon Constructors North, Inc. Ogden Contract Interiors, Inc.
Farella Braun + Martel LLP Rosendin Electric, Inc.
FME Architecture + Design Seifel Consulting, Inc.
Hathaway Dinwiddle Urban Realty Co., Inc.
Christiani Johnson Architects Paula R. Collins, WDG Ventures Inc.
FORUM DESIGN Simpson Gumpertz & Heger Inc.
Philip P. Choy was born and raised in San Francisco Chinatown. A retired architect, he is known as an authority on the history of Chinese America. In 1969, he co-taught the first Chinese American History class in the United States, and since then has created and consulted in numerous history studies, publications, exhibits and media projects and has taught, lectured, and wrote on the subject. He has provided pro-bono architectural services to non-profit organizations such as the Chinese for Affirmative Action, and in 1993 produced the case report that placed the Angel Island, Immigration Station on the National Registry of Historic Places. 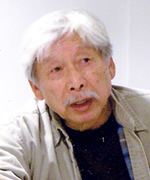 He has served on the San Francisco Landmark Advisory Board, the California State Historical Resource Commission and is currently an emeritus board member of the Chinese Historical Society of America and adjunct professor at the San Francisco State University. 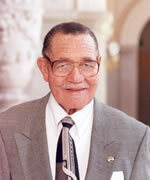 Leroy King is the past Northern Regional Director of the International Longshoremen’s and Warehousemen’s Union (ILWU) and was a union official for over 30 years. He is a long-time civic and public affairs leader in San Francisco. His memberships include the National Association for the Advancement of Colored People (NAACP), the Western Addition Co-op Council, the San Francisco Labor Assembly for Community Action and the Black Trades Union, State Democratic Party for the last 30 years. He is also one of the founders and past presidents of St. Francis Square, a cooperative housing development in the Western Addition. 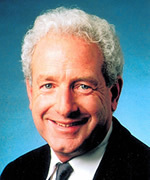 He was first appointed a Commissioner to the San Francisco Redevelopment Agency in 1980 and was reappointed in 2006. Brian O'Neill was the longtime superintendent of the Golden Gate National Recreation Area (GGNRA) who helped transform the Presidio and other military bases into parkland. Brian was put in charge of the 75,500-acre recreation area in 1986, and was one of the longest tenured, and perhaps the most influential superintendents in the National Park Service. He has been credited with turning Alcatraz from a decrepit former prison into a world-class destination. He also made his vision for a park in the Presidio a reality after 200 years of military use. He was a driving force behind the $32 million Crissy Field renovation project, which by 2001 had transformed the crumbling airfield into a tidal lagoon surrounded by dune grass and walkways. Brian died on May 15, 2009 of complications from heart surgery. 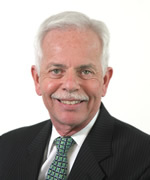 Brian served on the SPUR Board of Directors for 13 years. We will miss him very much. Paul Sack has divided his life almost equally between business and other pursuits. 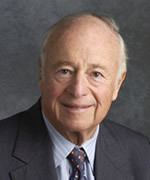 He has been a developer of garden apartments in the Bay Area and was founder of RREEF, which currently manages about $40 billion of properties around the world, chiefly for large tax-exempt institutions. He was director of the Peace Corps program in Tanzania and director of worldwide Peace Corps programming in Washington, D.C. He has completed seven assignments overseas as a volunteer consultant for the International Executive Service Corps. His principal current activity is collecting photography. He is a trustee of SFMOMA, trustee emeritus of the San Francisco Art Institute, and a director of the Center for International Policy in Washington. Dr. Isabel Wade is the President of Urban Resource Systems, a nonprofit organization she founded in 1981. An environmental planner by training, she has focused her career on the urban environment and projects that engage the public in urban greening and the protection and enhancement of public open space. 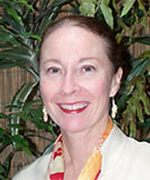 While working at the Trust for Public Land, Isabel spearheaded two urban forestry organizations, the Friends of the Urban Forest and California ReLeaf. In 1989, she co-founded the National AIDS Memorial Grove project, and in 1996, she organized a coalition of park groups to “take back’ the neighborhood parks in San Francisco. She served as the Executive Director of the Neighborhood Parks Council until July 2009, attracting more than 100 park groups to participate in the coalition, more than 4,000 volunteers. Isabel received one of the first national awards for excellence in the environmental field from Good House Keeping Magazine, and the first Lifetime Achievement Award by the Mayor’s Office of Neighborhood Services in 2008.